The Judicial and Bar Council starts deliberations tomorrow on recommendations to the President for the two vacancies this June in the Supreme Court, with the retirement of Justices Eduardo Nachura and Conchita Carpio-Morales. Believe it or not, for a list that should not exceed ten recommendees (five per post max), the JBC is said to have 33 names on its initial list! Said to be moving heaven and earth to fill the forthcoming vacancies is the powerful law firm, which reportedly dreams of controlling the high court even if the Chief Justice is not counted in its league. Around the time that the scandal involving IMF head Dominique Strauss-Kahn hit international news, the “discovery” of leniency toward convicted former governor Antonio Leviste hit the local papers too. The contrast was not lost on many. They note how police authorities yanked Strauss-Kahn out of an Air France plane at Kennedy Airport in New York, and threw him for four nights into Hikers Island, reputed to be one of the largest and harshest jail complexes in the US, after he was accused of sexually assaulting a Guinea-born chambermaid in a plush NY hotel. 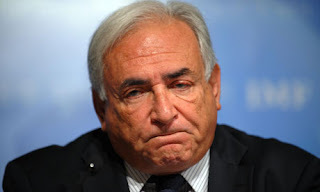 62-year old Strauss-Kahn was handpicked by then newly-elected French President Nicolas Sarkozy to head the IMF years back, and before his arrest, opinion surveys in France rated him most likely to challenge and win over Sarkozy in next year’s presidential elections. But with the accusation (which stuck this time), kinalaboso siya and he was thrown into one of the most notorious jails in the US; after posting a whopping $1 million bail, he awaits trial but cannot even stay in the posh NY apartment of his wife, as neighbors refuse to see his shadow there. 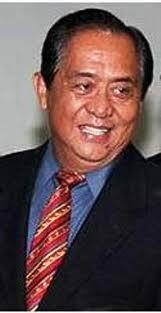 By contrast, the picture of a charmed life for Leviste, convicted of six to 12 years in prison for the murder of his longtime aide emerged: he was apprehended while “sleeping out” in his Makati condo. Reports note how all this time he has been free to come in and out of the maximum security compound where he lives in a comfortable hut separate from other convicts. Justice Secretary Leila de Lima ordered a panel to investigate the circumstances surrounding Leviste, but of course, it has long been public knowledge that the penitentiary has maintained a different standard for VIP prisoners. Such is the great divide between the American and the RP penal systems. Last Thursday I noted that the pro-RH bill campaign appears to be losing steam. This is borne out by the on-going online survey by Philippine Star showing the anti-RH side gaining 2/3 of the vote vs. the pro, while in the ABS-CBN survey the anti is also gaining, though not with as wide a margin. But it’s in the House of Representatives where the fight is most interesting. Consider these facts: while Speaker Feliciano Belmonte and Majority Leader Neptali Gonzalez Jr. are both pro-RH, four of the six Deputy Speakers are anti-RH, namely, Arnulfo Fuentebella, NPC; Raul Daza, LP; Ma. Isabelle Climaco-Salazar, LP; Pablo Garcia, Lakas breakaway group NUP; Lorenzo Tanada III, LP, and Jesus Crispin Remulla, NP. Of the three LP Deputy Speakers, Daza and Climaco-Salazar are anti-RH and only Tanada is pro-RH. On the other hand, the passionate sponsor of the RH bill, Minority Leader Edcel Lagman, may have a hard time getting most of his party-mates in Lakas-Kampi on his side, as former President Gloria Macapagal Arroyo and her two sons, Reps. Mikey and Dato Arroyo, are anti-RH, as are Deputy Minority Leaders Amelita “Girlie” Villarosa and Mitos Magsaysay, and senior party leaders such as Reps. Sergio Apostol, Erico Aumentado and Martin Romualdez. From the above, it’s obvious that because House members are all divided over the RH bill, there can’t be a party vote for any one group. Each according to his conscience. What’s becoming clear, too, at this point is that pro-RH advocates are running out of time. With only nine sessions days left in the First Regular Session of the 15th Congress(ending sine die on June 8) and at least 41 representatives lined up to interpellate Lagman (each easily taking an hour on the floor), there just won’t be enough time for all of them. For instance, this Tuesday, Rep. Pabling Garcia of Cebu is scheduled to interpellate the sponsor, and reports say he could take well over two hours. Veteran members opine that August would be devoted to the budget hearings, hence the earliest the debates on the RH sponsorship could be taken up would be in September; that doesn’t even include the period of amendments, which could be more madugo. In fact, Rep. Apostol, who's listed as 37th among the interpellators of Lagman, opines that by December of this year, the sponsorship might not even be finished. By mid-2012 it would be too close to the 2013 elections and few legislators would want to cross swords with priests in pulpits across the nation. To defuse the tension over the RH bill, House members have taken to bantering and the joke is, “daanin na lang natin sa boxing.” World boxing and anti-RH champ Manny Pacquiao has already taken on Lagman, but that camp also has two other boxers: Paranaque’s Roilo Golez, a champ boxer at the US Naval Academy at Annapolis where his name emblazoned in its gym wall no less, and Northern Samar’s Raul Daza, who chose boxing as his PE at the UP and acquired a license from the Games and Amusements Board to be a boxing manager prior to his entry into politics. The anti-RH guys have asked Lagman to name his own champs even for two-round bouts each, but so far no takers. Cebu neophyte Rep. Cutie del Mar has another solution that’s bound to get the approval of Cebu’s retired Ricardo Cardinal Vidal: daanin na lang natin sa sayawan, na pwede rin fund-raising for a worthy cause. Another tagilid bill being pushed by the Administration in Congress is the postponement of the ARMM elections scheduled under the ARMM Organic Act for Aug. 9. Most leaders of note, Muslims such as Dr. Dalumabi Lao Bula of Marawi, as well as Christians such as Fr. Eliseo “Jun” Mercado of the Oblates' Notre Dame University, are against postponing these elections that will involve choosing only five positions---namely, the ARMM governor, vice-governor and three provincial members of the regional legislative council---on the ground that it’s illegal and unconstitutional. But President Noy and his advisers are ignoring the majority opinion and instead seek to synchronize the ARMM elections with the mid-term national elections in May 2013. The problem with postponement, as former Sen. Nene Pimentel argues quite forcefully tonight at 8 o’clock in the dzRH paaralang bayan that Cecile Alvarez and I co-host, is that this is against the ARMM Organic Act (RA 6734) he himself authored in August 1989. Pimentel opines that even if Congress could pass a new law despite the lack of material time, it would be challenged as unconstitutional before the Supreme Court by Muslim leaders themselves. Already, former Tawi-Tawi Gov. Almarin Tillah has vowed to do so, and he has strong grounds for winning the case. As Pimentel stressed in our program (don’t fail to catch it tonight), both the ARMM Organic Act that he authored in the Cory era, and its amendment in 2001 (RA 9054), were ratified by the people of ARMM in separate plebiscites. Moreover, as Sen. Francis Escudero, current chair of the Senate justice and human rights committee, has stressed, the very act of postponing the ARMM elections this August would already constitute an amendment of the Organic Act. Thus, argues Escudero, by that law’s special nature granting political regional autonomy, unlike others that grant only administrative autonomy, amending the Organic Act requires a 2/3 vote of both chambers of Congress, voting separately, AND a plebiscite. But the advocates of postponement seek to amend the Organic Act through an ordinary legislation (i.e., a simple majority vote), and WITHOUT the corresponding plebiscite. The curiosity is WHY this Administration seeks to violate the law. Its leaders say ARMM badly needs reforms, but as Fr. Eliseo Mercado put it, how can reforms be effected in the 22 months between the supposed elections this August and May 2013, when it’s in the nature of reforms to work slowly. Moreover, for Malacanang to impose handpicked OICs is a sure formula for unrest in ARMM. 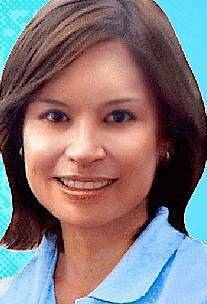 Or is the P11 billion annual budget for ARMM or P33 billion in three years the coveted icing on the cake? Remember how Cory appointed OICs during her first two years, on the condition that they couldn't run for the position they held in acting capacity. But Cory reneged on that deal and allowed her OIC cronies to run. Case in point: Jojo Binay.